You know the feeling when everything just melds together in perfect harmony? This is that feeling. 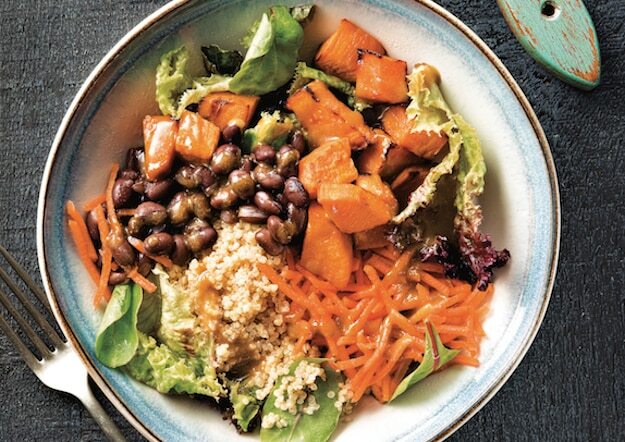 Warming cumin, tart lime and sweet maple syrup combine to elevate the flavor of everything else in this delicious and filling black bean and quinoa bowl. Reprinted with permission from From the Kitchen of YamChops by Michael Abramson, Page Street Publishing Co. © 2018. Photo credit: Vincenzo Pistritto. 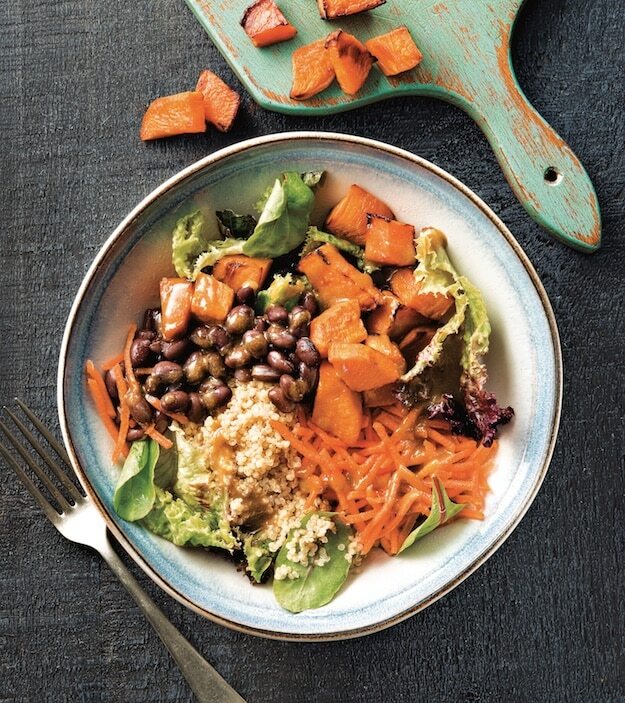 Place the sweet potato in a bowl, add oil and sprinkle sea salt and freshly ground pepper. Toss well to coat and place the cubes on a parchment paper lined baking sheet. Place in the preheated oven and bake for approximately 20 minutes until golden and just beginning to brown. Mix every 5 minutes or so. When the sweet potatoes are ready, remove from the oven and set aside to cool. Mix the dressing well and drizzle 2 generous tablespoons over each bowl. Serve at once. *This post contains affiliate links. If the product is purchased by linking through, VegKitchen receives a modest commission, which helps maintain our site and helps it to continue growing!